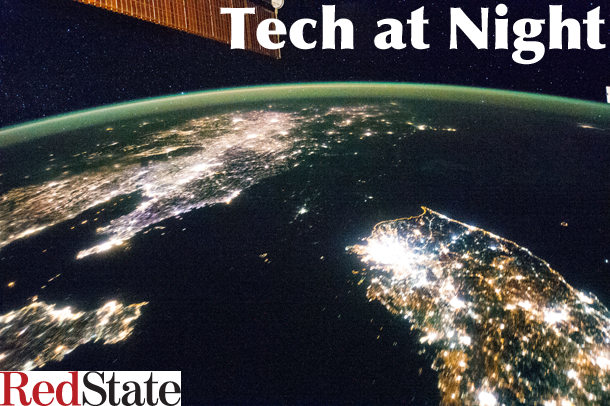 Tech at Night: DMCA reform should be balanced and not favor one side. Obama to give over the Internet to the UN. Tech at Night: Let’s talk about Sprint. Some Tor/Bitcoin child pornographers shut down. Tech at Night: DOJ comes after human trafficking online. Anti-American hysteria reaching new peaks. Gotta love it when the left uncritically regurgitates Sprint’s misleading talking points when they’d be having a hysterical screaming fit in the event I did the same to support my views. Sadly I was right in my predictions about Obama back when hef irst took office, and Marco Rubio was right. The Obama administration is handing over the Internet to the UN, a blow to liberty and a victory for dictators around the world. I’m sure Rand Paul’s on board, since he wouldn’t want to tweak any dictators or anything. Which is also why it’s dumb, and redistributionist, for Kelly Ayotte and Roy Blunt to ask FCC for subsidies. Population density is a critical factor in the economics of Internet access. Don’t like it? Don’t move to the boonies. The Digital Millennium Copyright Act was a delicate compromise. It was of course one of those grand bills that gets lots of lobbying. So it ended up with issues. But it had some good compromises in it. So any updates to the bill must be even handed. We cannot have a one-sided change that places new burdens on websites without also burdening copyright holders with a responsibility to be accurate in their complaints. We need stiff penalties for false takedown notices. Now even Dogecoin exchanges are getting hit. Once again we see it: cryptographic currencies like Dogecoin and Bitcoin lead to anarchy and slavery. What happens when you try to regulate new technologies to dictate outcomes? As they’re finding in Europe, you end up with out of date laws that make no sense. It’s not 1995 anymore. Phone charging is not hard, but Europeans are stuck with those regulations now. It looks like Congressional bullying may ensure the FCC attack public safety by fighting phones on planes, a critical information conduit on 9/11. Imagine if the people on that plane to China that was hijacked, could have made calls. There’s a word for people who believe or even print every story they see about NSA: gullible. If NSA had made a fake Facebook site, somebody would have noticed, folks. Let the market decide on data caps, not regulation. Let people pay more for better service. No net neutrality freebies. The FCC continues to prove meanwhile why the House-passed FCC transparency reforms are needed. Google has given the UK a special censorship button on Youtube. It’s time we passed Retransmission Consent reform. We need a copyright-driven marketplace, not a broadcast license driven monopoly that ensures broadcasters hold all of the cards against modern video providers. This is your reminder that kids should not be on the Internet.